Time to take a look at a distribution that’s yet to be reviewed on this website. This time, the distribution is called SolydK. SolydK is the KDE edition of a line of distributions published by SolydXK, an outfit made up of an odd 4-man team. For home users they publish two distributions – SoldK and SolydX. The latter uses the Xfce desktop environment. Both distributions began as community or unofficial Linux Mint Debian projects, before the founder decided to go solo. So SolydK and its Xfce sibling are based on Debian Testing. This article presents a not-so-detailed review of SolydK, just to show what, if anything, it brings to the table. Let’s start with the installer. Installing SolydK: is via a point-and-click installer. It has more in common with the installer on Linux Mint Debian Edition than the Ubuntu/Linux Mint installer. That means it lacks the automated disk partitioning methods that we’ve come to expect on modern Linux installation programs. The main interface is shown below. It has what could be considered a semi-automated disk partitioning method, which creates two partitions by default. It is “semi-automated” because after the default partitions have been created, assigning a mount point to the root partition is a manual task. Though a friendly message at the bottom left of the installer says that “It is recommended to assign your home directory (/home) to a separate device,” the installer does not create one by default. So if you want to comply with that recommendation, you’ll have to create one manually. Clicking on the Edit Partitions button, which should launch a helper program called GParted, will help you get that done. 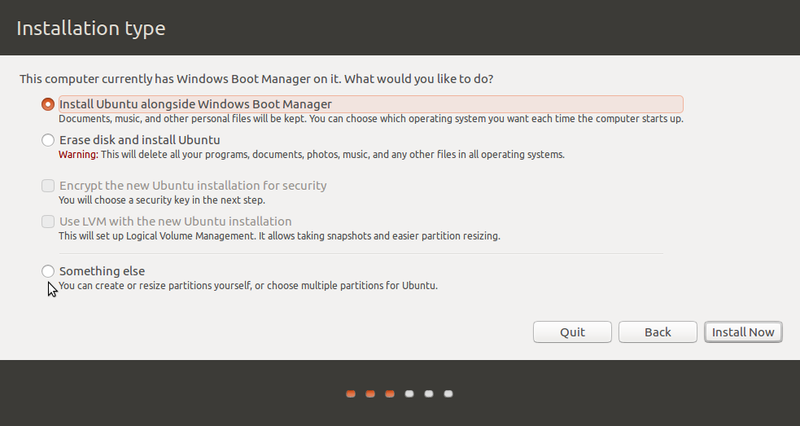 This screen shot shows the user setup step of the installer. A feature like home directory encryption is not even supported. The verdict on this installer is this: It doesn’t bring any thing new to the table. Since this is a Debian-based distribution, the developers might just as well have use the Debian Installer, just like the developers of Kali Linux did. 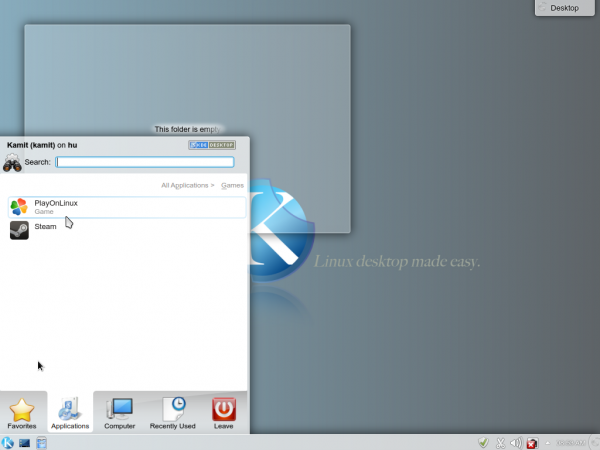 The version of KDE: installed is KDE 4.11.3, and the kernel is version 3.10.3. Since SolydK is based on Debian and not on ROSA Desktop, the desktop does not ship with those special features like StackFolder and KLook that are only found in Mandriva/ROSA-based distribution. 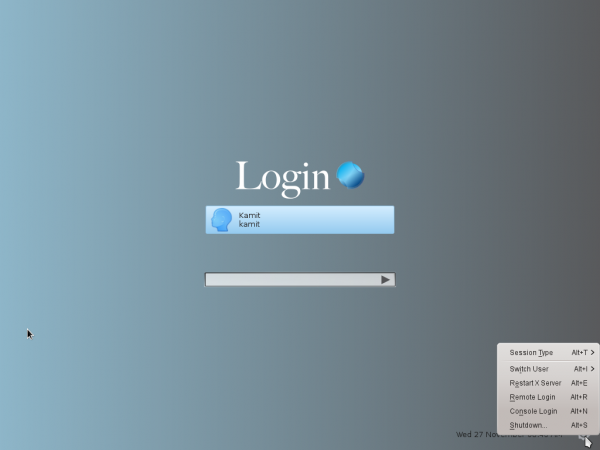 The first application that starts when you first login is the Welcome application. 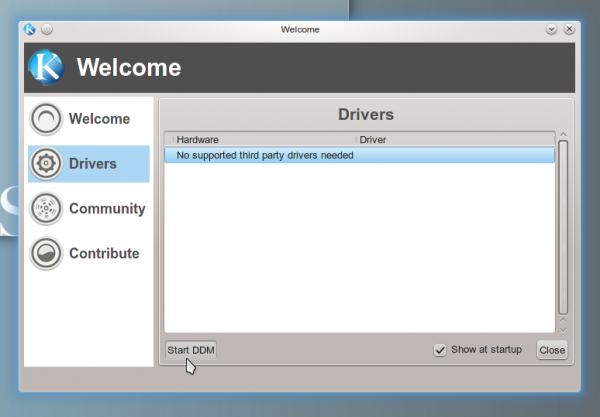 From the Drivers tab, you can install any third party drivers that are needed for your system. 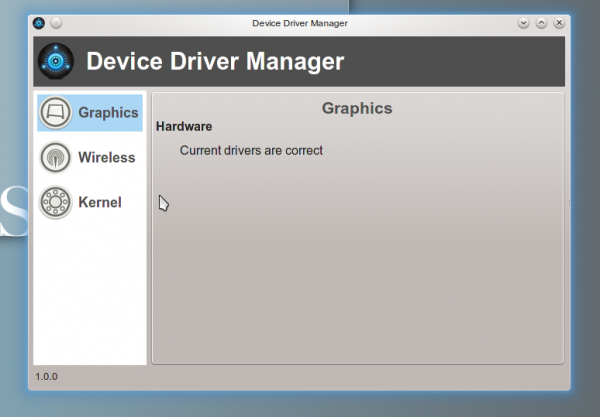 Clicking on the Start DDM button opens the Device Driver Manager’s window. So right out of the gate, users with hardware that require third party drivers have a tool that makes it easy to install such drivers. Other distributions also have a device driver manager, so there is nothing special about SolydK’s Device Driver Manager. 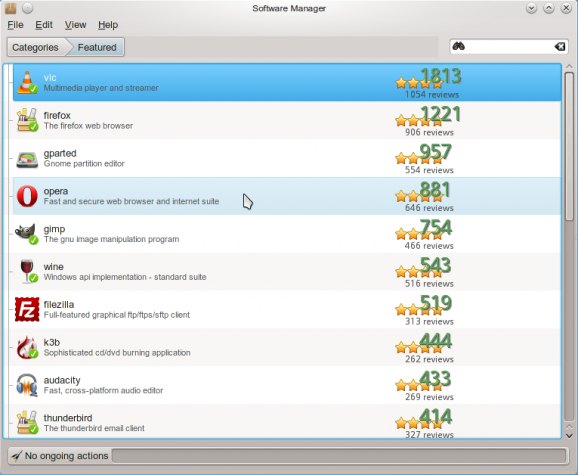 The distribution ships with the standard apps we’ve come to expect on any KDE desktop, except for native KDE games. The only game applications installed by default are a Steam client and PlayOnLinux, used for playing Windows games on Linux. 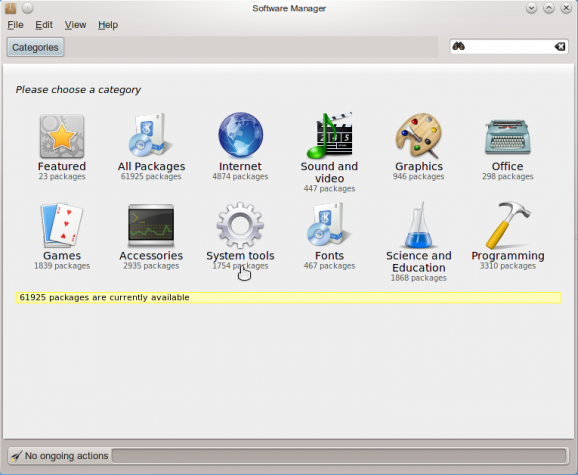 For managing applications on the system, the preferred graphical application is Software Manager, Linux Mint’s graphical package manager. This screen shot shows its main interface. And this shows a partial list of its Featured applications, eight of which are installed by default. Out of the box, the system is configured to check for updates once per day. 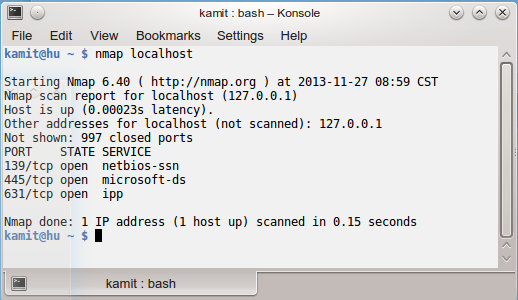 A local Nmap scan of the test system showed that there are three open ports, with two of them (139 and 445) due to a running Samba service. This would not normally be a problem except that the firewall application is disabled. 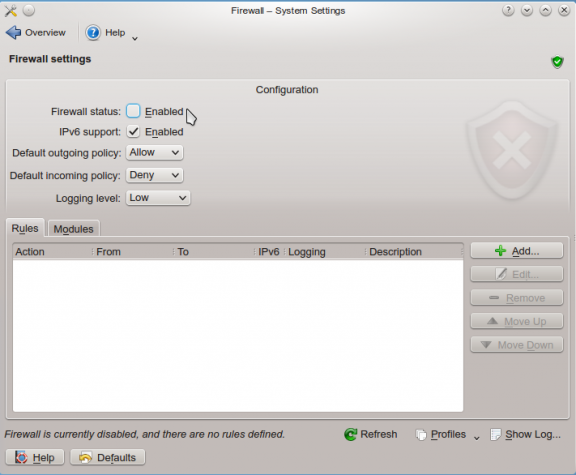 Ufw, the Uncomplicated FireWall, is the installed firewall application. The KDE Control Center module for the firewall is installed. This screen shot shows the module in its default state. If you are running this distribution and you care about the security of your system, let this module be the first application you enable the first time you log into into the system. You might want to read Why your computer needs a firewall enabled. My final assessment of SolydK is this: It doesn’t bring anything new to the table. And the installer needs more than a facelift; it needs features – support for LVM, the Linux Logical Volume Manager, disk encryption, home folder encryption, and an automated disk partitioning method that’s truly automated. Resources: Want to take SolydK out for a spin? The 32- and 64-bit installation images are available for download here. 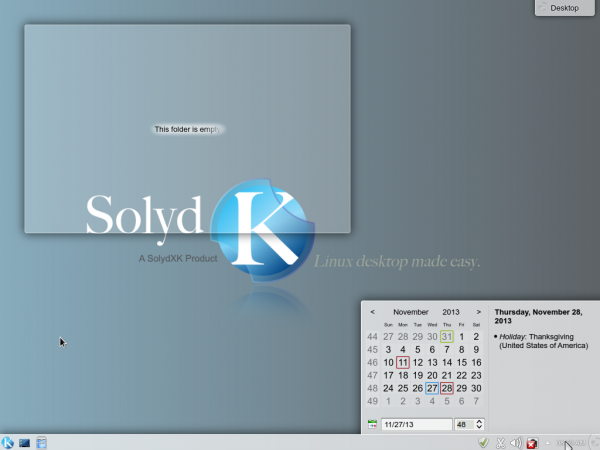 Note that aside from the KDE edition reviewed here and SolydX (the Xfce edition), both of which are designated as “Home Editions,” there is a “Business Edition” of SolydK, which is based on Debian Stable. Screen Shots: Just a couple of more screen shots from the test installation used for this review. A screen shot of the desktop showing the calendar widget. More a review of the installer than the distro, and pretty thin at that. I believe the device driver gizmo is available during the install, which is something very useful and not in any other installer I’ve used. 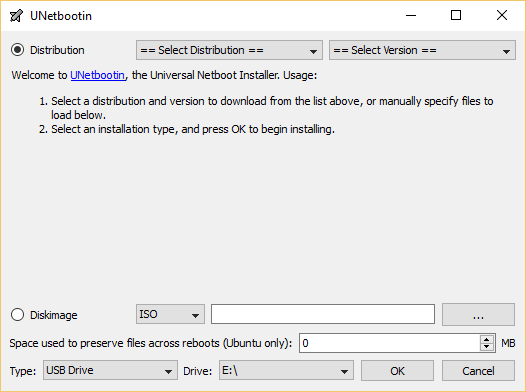 “More a review of the installer than the distro.” Are you making a distinction between the installer and the distro? Are you sure about this? I haven’t tried SolydK yet, but I have used StackFolder on many different KDE distros. Yep, there’s no StackFolder widget or package. It’s also in Chakra and I think Arch, but that’s about it, other than in OpenMandriva and ROSA. I’ve not seen in on Mageia.